Our “rastafari estate blend” is the perfect combination of central and south American coffees. 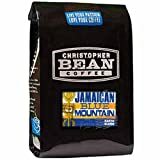 It is laced with the delicate flavors of one of the most sought-after coffees in the world, certified Jamaica blue mountain. Full bodied and smooth, it will get you Rollin’ each morning. Always fresh roasted never pulled from stock. Accent your wardrobe with this car coat which features a modern three button, single breasted front entry, classic notched lapel, and a stylish zipper bib. Long and lean lines define a handsome cashmere-blend walking coat. Decorative buttons at cuffs. A notched lapel and a single back vent complete the look. A classic soft wool blend walking coat features a notched collar, a back half belt and kick pleat.